On June 22, President Barack Obama signed into law the Frank R. Lautenberg Chemical Safety for the 21st Century Act, finalizing reform of the 1976 Toxic Substances Control Act (TSCA). Named for the late Senator Lautenberg, a longtime proponent of TSCA reform, the Chemical Safety for the 21st Century Act requires EPA to evaluate the safety of existing chemicals in commerce, starting with those most likely to cause risks, and to evaluate new and existing chemicals against a new risk-based safety standard that includes explicit considerations for vulnerable populations. “This is proof that even in the current polarized political climate here in Washington, things can work,” the president said at a White House signing ceremony. But while the Lautenberg Act had bipartisan support and help from both environmentalists and chemical manufacturers, its effectiveness—including EPA’s ability to meet all its requirements—remains to be seen. The Act sets tight deadlines for the agency to promulgate several rules specifying how it will execute the law. The details of those yet-to-be-proposed rules could test the strength of the unusual coalition that guided the Act through Congress, according to lawyer and industrial hygienist Neil Feldscher, CIH, CSP, FAIHA. "If we start seeing thousands of chemicals identified as a high risk, then I think we’re going to have to reevaluate if and when risk assessments can be completed." Given that more than 70,000 chemicals have been identified in commerce, the number of high priority chemicals could exceed EPA’s capacity to conduct timely risk assessments, Feldscher says. One of the more sensitive aspects of the new law concerns how EPA will address claims of confidentiality. Under TSCA, EPA collected and shared a range of information on chemicals. But chemical manufacturers’ claims of confidentiality limited the release of information to EPA. Under the Lautenberg Act, EPA will issue a new rule describing how it will decide whether to grant confidentiality. As a first step, manufacturers will have to provide EPA with a list of all chemicals they’ve manufactured or processed in the last ten years. More information about the Lautenberg Act is available from EPA. Special to the Digital Synergist: An Interview with Neil Feldscher Neil Feldscher, CIH, CSP, Esq., of the New York City Department of Environmental Protection, Bureau of Engineering Design and Construction and a member of the AIHA Legal Issues Committee, recently spoke with The Synergist about EPA’s requirements under the Lautenberg Act. The following transcript has been edited for clarity. (Editor's note: The views expressed in this interview are those of Neil Feldscher and do not necessarily reflect those of his employer.) The Synergist: EPA is required by the Lautenberg Act to evaluate the safety of chemicals in commerce. Given the number of chemicals in commerce, how might the agency attempt to do that? Neil Feldscher: That is probably going to be one of the biggest questions. I believe at last count we’re at over 70,000 chemicals in commerce. I think it’s going to end up being very difficult for them. Their starting spot is the TSCA Work Plan 2014 Update, which was a reduction to 90 chemicals from the 2012 Update. Once they identify both their prioritization process and their risk evaluation p I think that’s where we’ll get an idea of how this is going to happen. The way this Act has been written is, they have to do their prioritization process rule to establish the process and criteria for determining high priority substances for risk evaluation and their risk evaluation rule to establish their evaluation process. The Lautenberg Act sets the minimum number of evaluations that must be ongoing and the maximum amount of time an evaluation can take, but until we know how many high priority substances they’re going to identify I don’t think we can truly understand how long it will take to become current on risk evaluations. One thing that EPA always has to consider is the sensitive subpopulations—children and the elderly. They have to consider the wide gamut of what Americans look like. They have to look at the potential for affecting drinking water. They have to look at things such as how a chemical is used, significant changes in the type of use—what in the past was called significant new use rules—and they have to consider the volume. It’s going to be interesting to see how they’re going to do this so it does not get fought by one side or the other, or both sides. 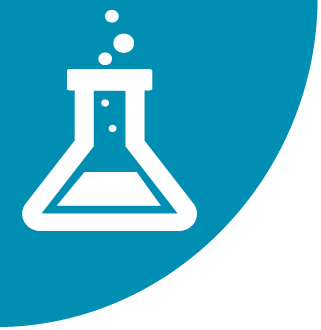 TS: How will the Act affect chemical manufacturers that claim confidentiality? NF: It doesn’t do away with confidentiality, though it does modify the rules. EPA can write a new rule about how they’re going to apply confidentiality claims, but at a minimum they need to comply with the 90-day deadline for review of confidentiality claims for chemical identity and to also improve on the review of claims in regards to other chemical information. The Lautenberg Act also lets EPA periodically review confidentiality claims. The Lautenberg Act allows the EPA to require that all manufacturers provide them a list of all the chemicals they have manufactured in the last decade, and as part of that to restate their claims for confidentiality. EPA is then going to have to develop a rule to review them. I suspect that you’re going to see confidentiality, at least the amount of chemical information granted confidentiality, be reduced. TS: It’s unusual to see both sides in Congress come together and get anything done these days. How did this happen? NF: Not only did this get bipartisan support, it got support from both environmentalists and manufacturers. So everyone seems to think it’s better, but it’s pretty tough to believe that everyone believes it’s going to help their side better. It may just be that with some of the historical problems of TSCA, everyone just believes that any progress is a good thing. Actually this is a place where the EU helps. REACH, which had TSCA to learn from when it was created, has been out there as an example of what works better, and even manufacturers realize that when they send products out there and no one has a clue what they do, they can end up with a lot of bad publicity, which may or may not be warranted. Worse is when they end up in litigation. The other issue is that manufacturing has become global. These companies that are dealing with REACH already are doing more than what they’re doing for the U.S. anyway. So with the Lautenberg Act, they are closer to having one standard that they can comply with everywhere. They don’t want to do it five ways for five different areas. They want to do it one way. It’s cheaper for them, it’s more effective for them, and they basically have one package they can submit to everyone. TS: Will the Lautenberg Act significantly affect the work of industrial hygienists? NF: I think it’s going to require potentially more research, more information provided to EPA prior to full-scale production. If you’ve ever looked at one of the safety data sheets that says, Do not touch this compound, do not breathe it, wear full PPE—you’re practically in Level B before you get near the thing—and then you look at the health effects and it says, Oh, we have no idea, there’s no known health effects—that to me was always a, Oh really? You’re basically telling me that this is a product that we know nothing about, but you’re pretty sure it’s hazardous, but you stuck your head in the sand so you don’t know it’s hazardous. That’s the kind of impact that I think there will be in the future, because I think for those chemicals, if you’re telling people they have to be in Level B and you have no idea what the health effects are, I think that chemical may end up being placed in the high risk category, which is going to require you to actually do testing, sampling, analysis, identify health effects, and generate real information on the effects. I think that is a place where we might see changes in the future, and it will certainly be an impact to toxicologists and industrial hygienists who work on the supply side. See the sidebar at the end of this article for an interview with Neil Feldscher.